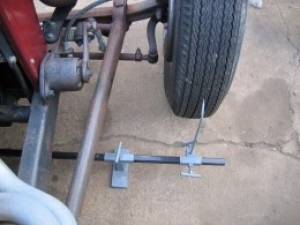 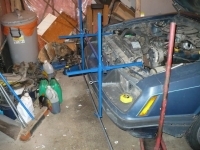 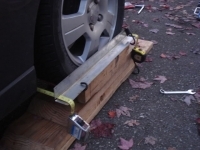 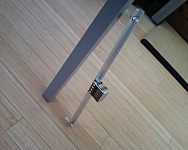 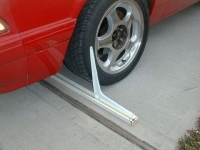 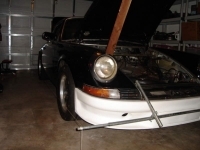 Homemade toe-in gauge for hot rods. 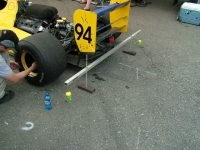 The car is jacked up just enough to allow the front wheels to rotate. 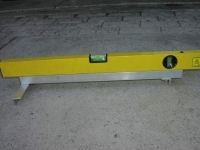 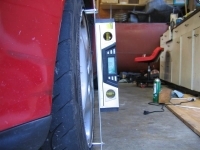 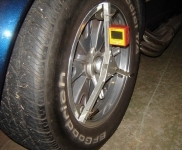 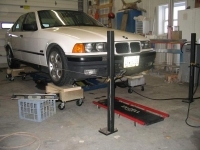 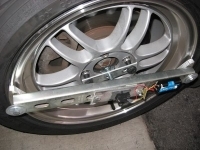 Then, the toe-in is calculated by marking the tire where the gauge pointer indicates, rotating, marking again, and measuring. 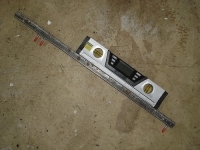 I like tools that don't depend on batteries.